Inviting hardwood floors invoke a sense of quality and elegance. Their permanence makes this flooring one of the most desired features for home buyers. Choosing to remodel and install hardwood flooring is a choice that will pay off, and here are some tips for timing the installation of your hardwood floors. Even though hardwood flooring can be installed any time of the year in central Indiana, it’s usually best to schedule it in late spring or early fall. Between the two seasons, fall tends to be the best time because it is cooler out and there usually is less moisture than spring. As a result, during fall you can minimize the cupping effect. Cupping is the term used to describe the warping that can occur when there’s a moisture imbalance that causes the sides and edges of your hardwood flooring planks rise higher than the center of the boards. Why not summer or winter? Summer is hot and humid, while winter is cold and dry. Wood flooring typically sits at the site for a few days before being installed, because hardwood floors need to adjust to their climate before installation. 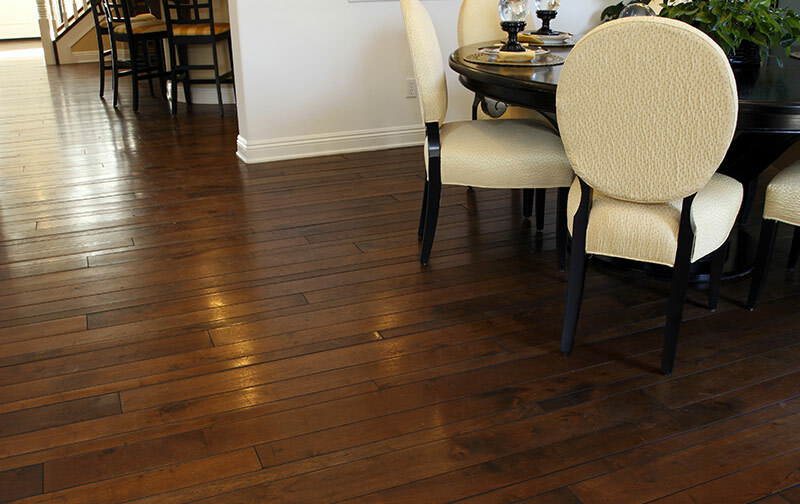 In the summer, hardwood absorbs too much moisture which cause it to swell. In the winter, it’s too dry causing the boards to shrink. If the wood is not given enough time to acclimatize, it will cause cupping, cracking, and warping. The adhesives sometimes used for hardwood flooring installations require a temperature between 70º and 80º and humidity between 35–60%. Many people regulate the temperature of their homes during during summer and winter and this can disturb—and in some cases even prevent—proper drying and bonding. The most common times for home renovation are spring and fall. Group your projects together. If you’re remodeling a home, be sure to leave the installation of your hardwood floor until the construction is almost done. Excess traffic and water put the new floor at risk. No matter which season you choose for installing new hardwood floors, schedule your installation with the best, most experienced teams in Indianapolis. Stop by our showroom and check out our wide range of hardwood flooring options, including exotic hardwoods. When you shop at Kermans, you’ll always receive every benefits of the Kermans Advantage: expert consultants, unparalleled customer service, and sound recommendations.